When The Lord created man, we were ‘formed in the image of God, according to His likeness.’ We were formed to be image bearers … sons … reflections of the nature and likeness of The Father-on earth, as it is in heaven. As we stood in His Presence, exposed to His counsel, relationally expressing His glory, we expressed The Father’s design and desire. At the fall, separated by sin, naked without the reflection of His glory, we lost our relational connect– and instead of being formed in His likeness, we began to be a marred, deformed creation. At the Incarnation, Jesus comes to give fallen man an exact representation of the Father’s image. John 14 shares that if you have seen Him, you have seen the Father. He also comes to purchase redemption for His fallen creation. Upon their purchase, they are restored to relationship once more…..but unfamiliar with how this restored relationship is expressed. What we look at in our Sonship Study is the way Jesus modeled this restored relationship for us. The way we approach this study is also a different way of learning. I have been facilitating prayer summits for International Renewal Ministries since 1990. One of the skills that is developed corporately through a prayer summit is hearing His voice in the scriptures. We incorporate this kind of hearing into our study, so we learn with our heart as well as our heads. Each person receives a set of notes for each session. They are asked to prayerfully begin to read through the verses, then stopping and meditating on whatever part becomes meaningful to them. When we gather together, each one is able to share, and the facilitator guides with discussion points and appropriate questions. …but to all who did receive him, who believed in his name, he gave the right to become children [sons] of God, who were born, not of blood nor of the will of the flesh nor of the will of man, but of God. Sonship Studies are facilitated, informal and interactive groups which gather to explore the implications of living as sons of God. The studies begin with a discussion of the kinds of children that the Bible describes from the utterly dependent baby in the faith to the growing but immature child and, finally, to the mature son who comes to reflect the nature and will of his Father (Grk: huios). The implications of that relationship influence every part of the life of the believer from her/his personal devotional life to understanding what it means to live in the Kingdom while navigating the force fields of the world. The studies are not curriculum based, even though there are notes available to guide the discussion. They are open and participatory, relying on group members to bring fresh and dynamic insights to the gathering. Moreover, Sonship Studies form by relationship, not by implementing a program; they are passed on from one to another. Some training materials are available but are only accessible after a coaching arrangement has been established with someone who has been a part of the studies. Sonship Studies often become what we call, “a church of the heart.” Though they are not a “house church” by definition (for example they may be gender specific) they share some of the essential elements of a house church, Summit Fellowship or simple church. Indeed, a Sonship Study may be a good way for a new summit or simple church to get started. 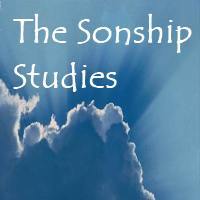 If you want more information about the Sonship Studies, contact us below.